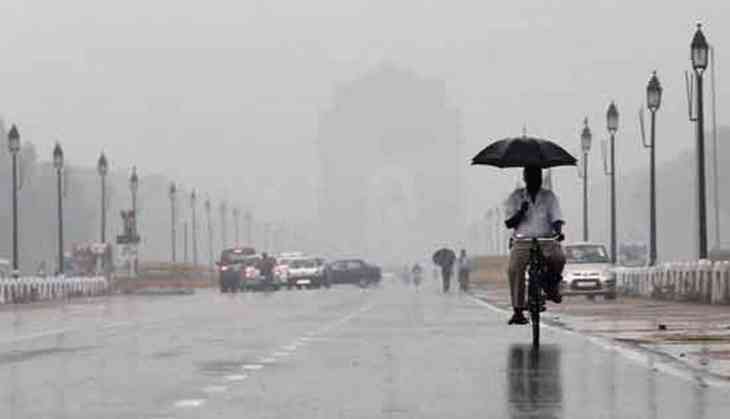 Delhi and the national capital region including Noida and Ghaziabad among others witnessed rains and cool breeze on early Sunday morning and according to the weather department the temperature is expected to dip in the next four to five days. Light spells of rain and thundershowers accompanied with gusty winds will also continue intermittently. This comes a day after the national capital recorded the coldest day of March in four years at 13 degrees Celsius on Saturday. With partly cloudy sky, the minimum and maximum temperature at Delhi-Safdarjung was recorded at 11.5 degree Celsius ( a departure of minus two degrees from normal ) and 19.3 degree Celsius (a departure of minus eight degrees Celsius), IMD said. Delhi and Gurgaon witnessed rain through the night and early morning today. In the last 24 hours from 08:30 am on Friday, Delhi's Palam Observatory recorded 7.1 mm of rain and Safdarjung at 9.6 mm, according to IMD. The skies cleared up to sunshine in late morning. "Overcast conditions with light to moderate rain and thunderstorm accompanied by hailstorm, lightning and strong surface winds are expected to till March 4," a met official said. The rainfall is due to a western disturbance that lies as a cyclonic circulation over East Afghanistan and as an induced cyclonic circulation over southwest Rajasthan and neighbourhood, the country's apex weather agency said. Fresh rainfall and winds have brought some respite from air pollution but the AQI was recorded at 142 in the "moderate" category, according to SAFAR. Delhi is likely to witness an extended winter season till March 6 due to the cold wind and intense western disturbances," private weather forecasting agency Skymet said. Rains were also recorded in several parts of Northeast including Assam and Arunachal Pradesh. South Indian states will experience drizzling along with thunderstorm, reported Skymet.